Time just has a way of sneaking up on us, doesn’t it? It’s a little crazy to think how quickly the holiday season is approaching! Soon our calendars will be filling up with holiday festivities, and everyone knows the fun doesn’t really begin until someone breaks out the appetizers! 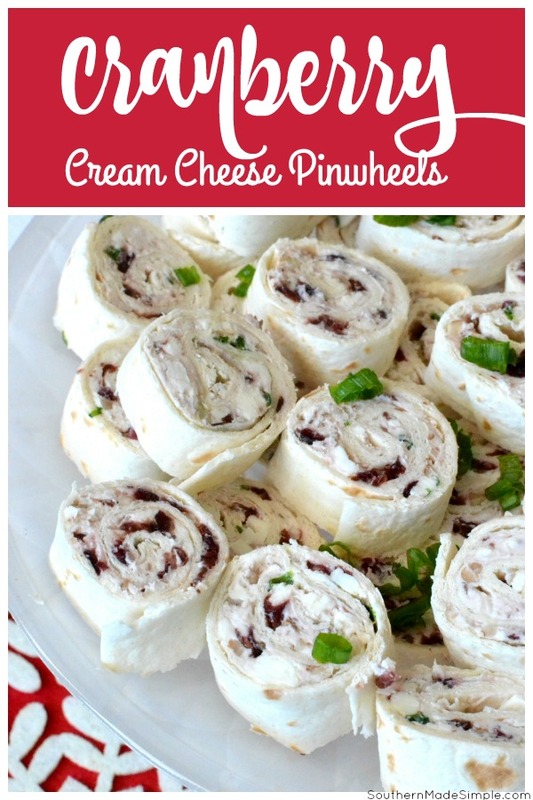 That’s exactly where these cranberry cream cheese pinwheels come out to play! Over the years I’ve learned that it’s always a good idea to have a handful of recipes in your back pocket that are appropriate for any season. While cranberries are typically a fall favorite, this recipe is a great choice for any potluck or social gathering throughout the year! I particularly like this recipe during the Christmas season, though, because of the beautiful red and green colors that peek through each bite. If you’re looking for a great make-and-take appetizer to share with family and friends during the upcoming holiday seasons, this one is sure to be a hit! It’s simple to make, contains just a few ingredients and packs in a ton of flavor that will leave you going back for seconds! In a large mixing bowl, blend cream cheese and feta cheese together with a hand mixer. Add in pecans, cranberries and onions and mix well. 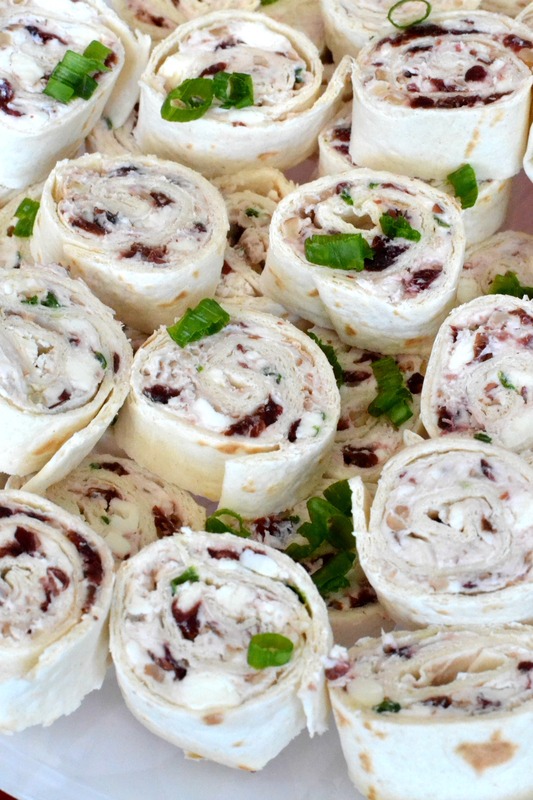 Spread mixture over tortillas and roll up. Wrap each tortilla in plastic wrap and refrigerate for at least 1 hour. Cut into slices and top with additional onions or pecans if desired. Serve chilled. Enjoy! Most of the ingredients in this recipe are things that I almost always have on hand – especially during this time of year. 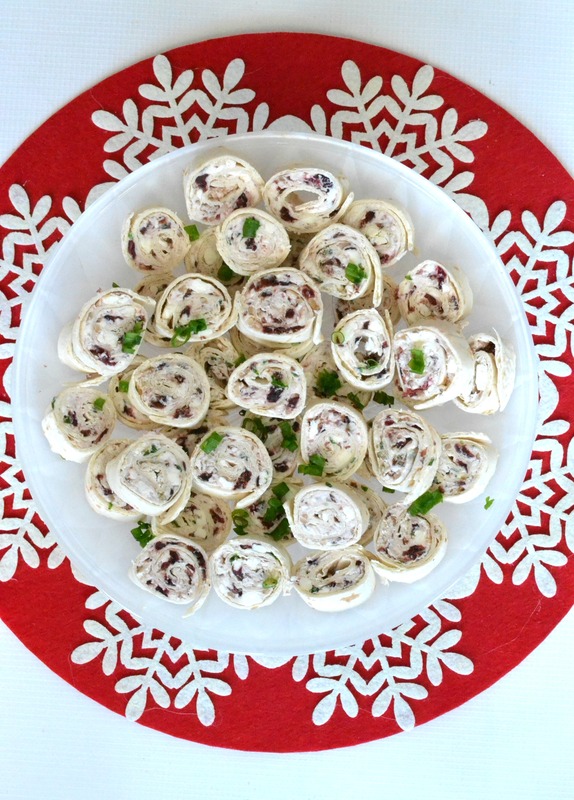 The feta cheese blended in with the cream cheese gives these appetizers a delicious sweet and savory flavor, and the dried cranberries and finely chopped pecans add a bit of texture to each bite. Here’s a free printable copy of the recipe if you’d like to give it a try! 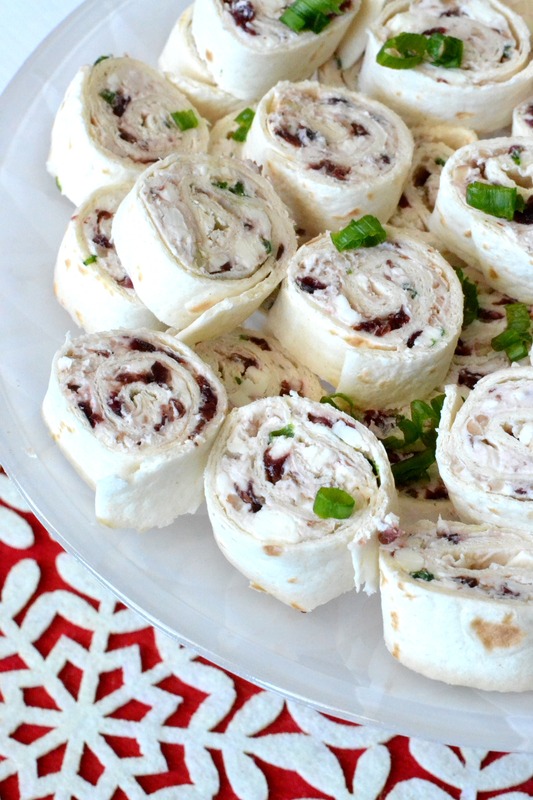 What appetizers will you be making to share during the holidays? Do you have a favorite go-to recipe that you love to make all year long? Leave a comment below and share the love!